C. Joyes, having spent numerous years in the business field as an accountant, dreamed of writing a book, but had no idea where to start. During the course of trying to find her purpose in life, the author decides that she relates very well with Carl Jung and is in fact, a reincarnation of him in a woman’s body. So, she begins the journey of writing her book, “The Reincarnation of C.J.,” which she describes as a misfit book, relating that it is somewhat of a memoir but at the same time fiction. Overall, the book was very confusing and the author spends an inordinate amount of time discussing her lack of relationships. She becomes fixated on Carl Jung, gathering as much information as she can to justify her point of view. While doing this she also becomes enamored with astrology readings and then begins on Freud. Although the author relates there is a method to her madness in writing the way she does, I did not find it. One gathers from the author’s writing and thoughts that she often follows suggestions of friends and remembrance of family. Several times throughout the book, she changes what she writes about due to suggestions of others, rather than sticking to one topic. At the end of the book, the author relates that she has a complex and has used her writing to fill the void in her mother’s death. There seems to be a lot of confusion in her relationship with her sisters, and how they view what happened to their mother. The title of the book is good; the author might have focused more on the word reincarnation, in which she is trying to find what is missing from her life and how she should go about making positive changes. 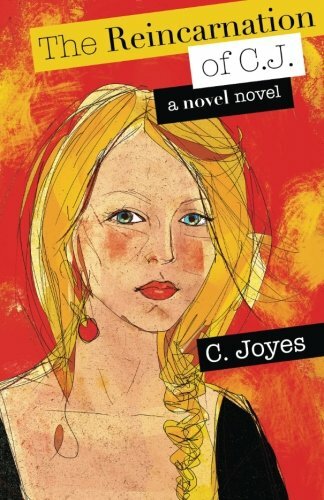 I hope that C. Joyes found writing “The Reincarnation of C.J.” therapeutic and found a new, rewarding life.